Morocco is the fifth largest African economy by GDP and enjoys one of the most politically and socially stable environments. With its modern infrastructure, robust financial sector and strong outbound foreign direct investments in a broad range of sectors, Morocco offers ample opportunities for investors and industrial companies. Morocco stands out as the most developed market economy in North Africa. Due to its attractive business incentives, qualified and affordable workforce, extensive network of bilateral tax treaties, political stability and convenient travel connections to Europe, the United States and the rest of Africa, the country has increasingly attracted international inward investment and has become a major source of capital to other countries in Africa. 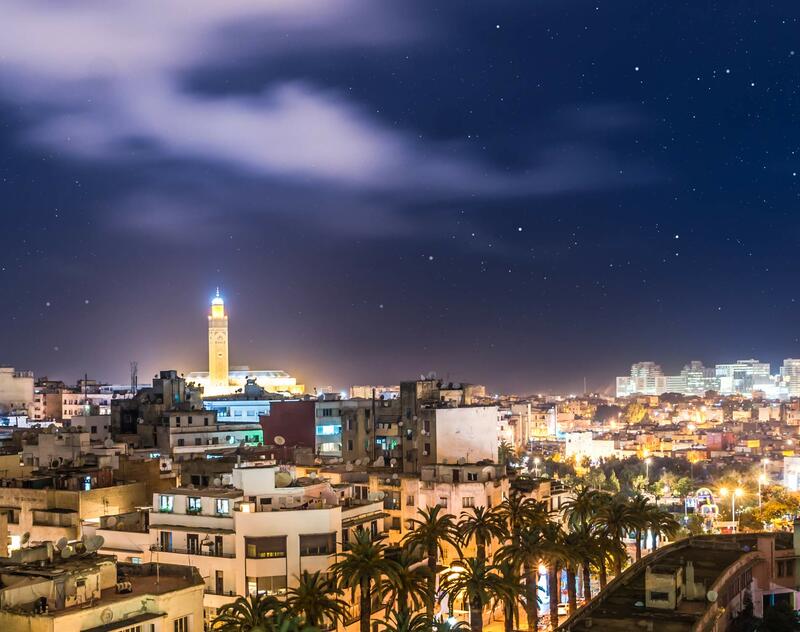 Our lawyers in Casablanca are led by two partners who share a combined experience of 20 years in Morocco. Deeply engaged in the region, our team has broad experience and a strong reputation in many business sectors including energy, mining, manufacturing, real estate, M&A, financing and PPP. Dentons’ office in Casablanca is uniquely positioned to provide clients with support for activity in Morocco, the rest of the Maghreb and also in sub-Saharan, Western and Central African regions. Also as a key part of our global Africa practice, the team can service your needs across the whole continent through our Africa desks and network of associated firms. Dentons has the knowledge and experience to deliver business solutions wherever you need them, whether you are a Moroccan company with interests beyond its borders or you are seeking to enter the Maghreb region or other parts of Africa, we can help you execute your corporate and commercial strategies with confidence. Dentons Morocco Managing Partner Patrick Larrivé has been ranked 13th out of the top 50 most influential lawyers in 2017 in Francophone Africa in Jeune Afrique’s annual report. Dentons is ranked as the second best firm in Morocco, while Patrick is among the only 3 lawyers based full time in Africa in the top 15. Dentons is delighted to have won the 'Advisor of the Year - Single Deal Advisor' award at the Private Equity Africa Awards 2014. Dentons won the award for its role advising Indorama on its co-investment with Helios in the US$3bn Petrobras Oil & Gas JV, which was the largest private equity transaction in Africa in 2013. The transaction was completed in four days and is testament to Dentons' ability to field experts in: private equity; oil and gas; African and international tax regimes; and bilateral investment treaties. Morocco has made significant strides in its development objectives over the last decade. This progress has been anchored by a concerted strategy to economically and politically integrate Morocco internationally, including through enhancing its position as a platform for business within the North Africa region and the rest of the continent. The establishment of the Casablanca Finance City as a center for companies with pan- African operations and the increased number of free trade agreements between Morocco and other African countries attest to this strategy. Dentons Morocco has advised Cepsa, Spain's leading energy company, on the development of its business in Morocco.